What was Crossway's goal in publishing this edition? 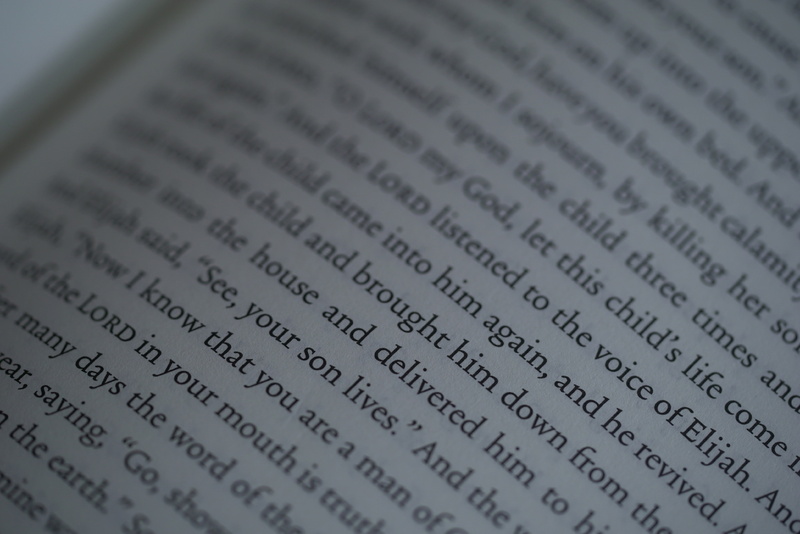 Ortlund: Our purpose was to create a Bible whose production exemplified the dignity and value of the actual contents. 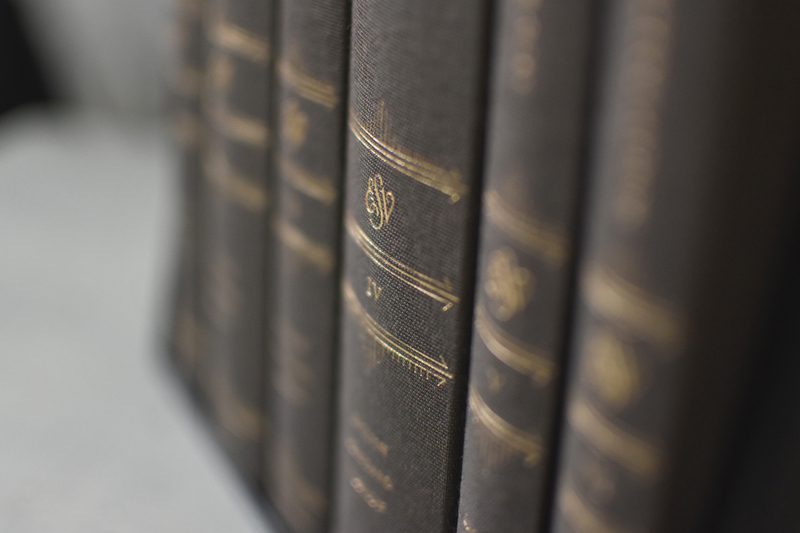 If the Bible is our greatest earthly treasure, how can we produce it accordingly? We also wanted to give readers an uncluttered reading experience, so we stripped out the non-inspired bits and left the text itself, in a beautiful font, on elegant book paper, so that the Bible can be read in a distraction-free way. Where did the idea for this Bible originate? Ortlund: In truth this edition was many years in the making, because the six-volume set was the culmination of much of the design, typesetting, and production work we have been doing for the past several years. 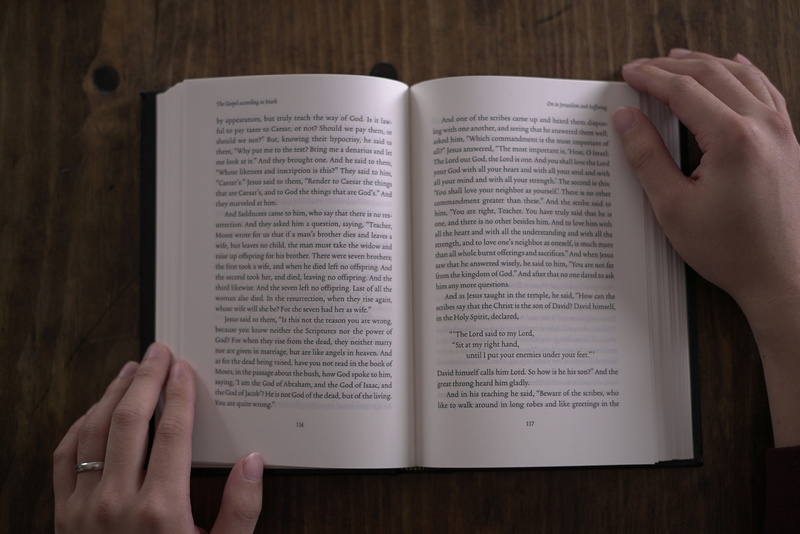 For a long time we have been pursuing improved readability, simplicity, and beauty in the Bibles that we produce. This pursuit is reflected in the publication two years ago of the original Reader's Bible (which removed verse numbers, cross-reference, etc.) as well as The Psalms (which was produced in a beautiful novel-like format). 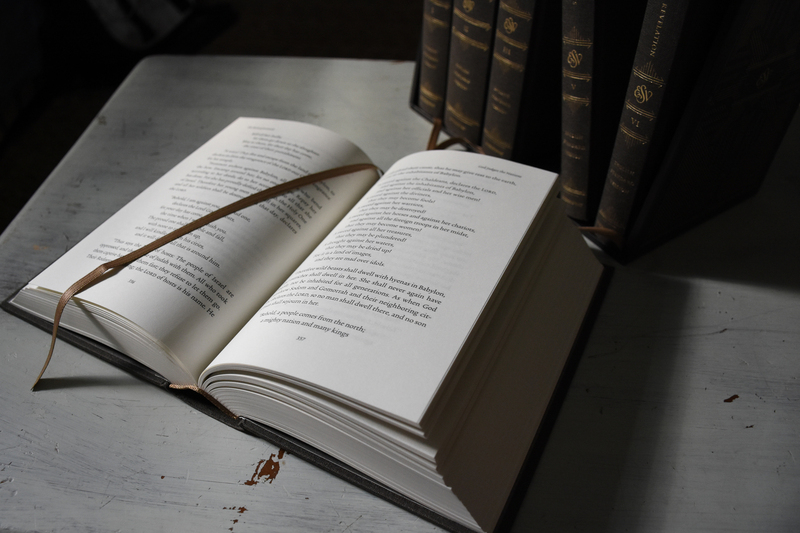 The Six-Volume Set combines the simplicity of the Reader's Bible with the book-like production quality of The Psalms, and in many ways is the culmination of a trajectory we have been on for several years. What are some common obstacles to reading God's Word? How do you see this Set helping? Ortlund: The first thing to say is that if your heart is cold or you are living in flagrant sin, no presentation of the Bible is going to help you more than another. 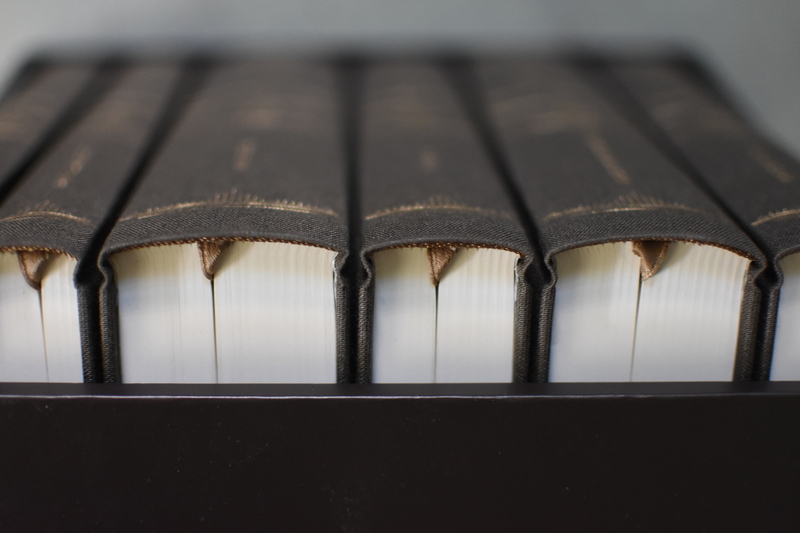 The six-volume set is not a “magic bullet” of sorts. The power of the Word lies with God, not with Bible publishers. At the same time (to answer your question!) we Christians tend to read the Bible in small sound-byte nuggets. There is a place for this. Indeed, it is essential. 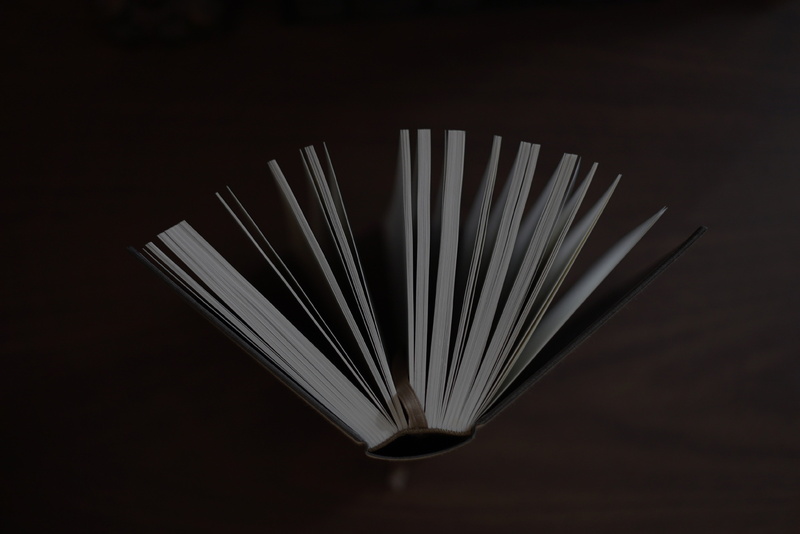 But such micro-reading needs to be complemented by macro-reading if we are truly to be people of the Book—if the Bible is really going to be so “inside us” that it shapes how we look at the world. We need to know the broad terrain, the big picture, the overarching storyline, of the Bible. We hope this Bible will encourage such reading. It should not replace standard editions of the Bible; we should always have a Bible that tells us what verse we are reading. There’s nothing wrong with that. 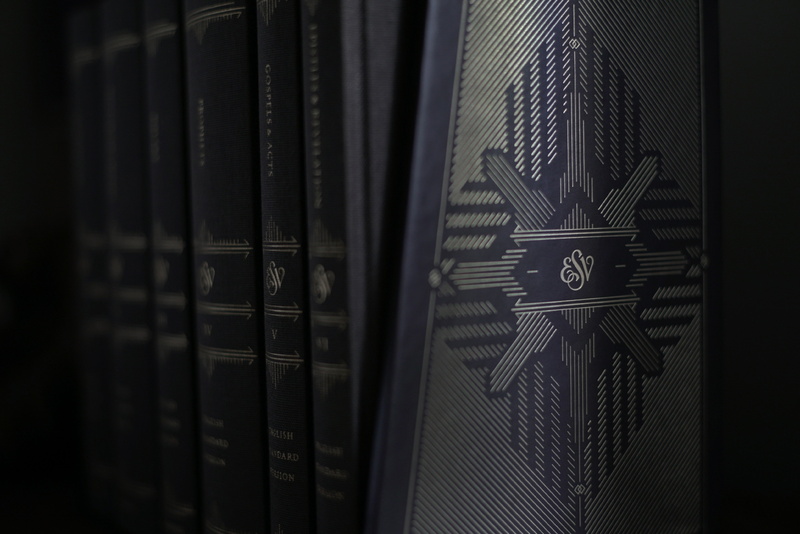 But we hope the six-volume set will supplement more standard editions and even, for many believers, revolutionize their experience with the Bible. Crossway publishes a wide variety of Bibles, each thoughtfully created with specific reader in mind. What is the vision behind the variety, and why is it important to continue producing new editions of the Bible? Ortlund: Many different editions of the Bible are useful because there are many different kinds of Christians. We do not want to proliferate niche editions in a way that undermines the inherent value of the Word of God to all people of any background. 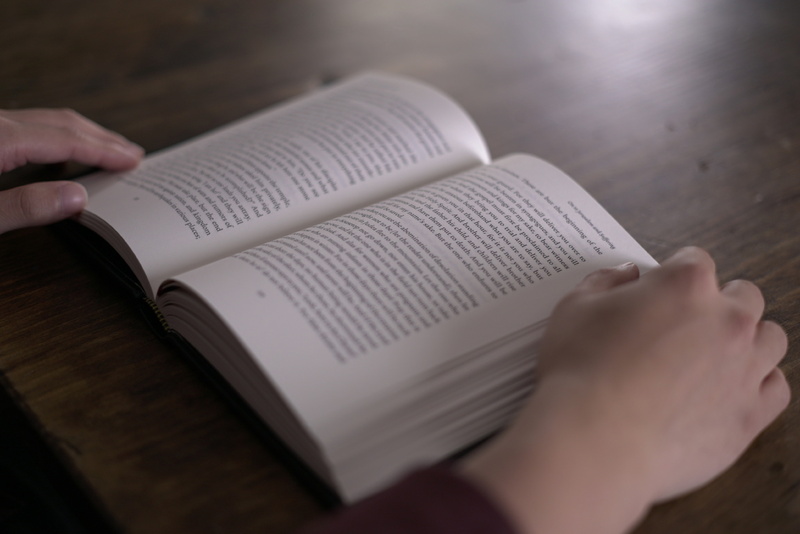 But we do want to create a variety of editions so that readers can enjoy communion with God through his Word in a way that fits their own background, reading level, aesthetic taste, and budget. 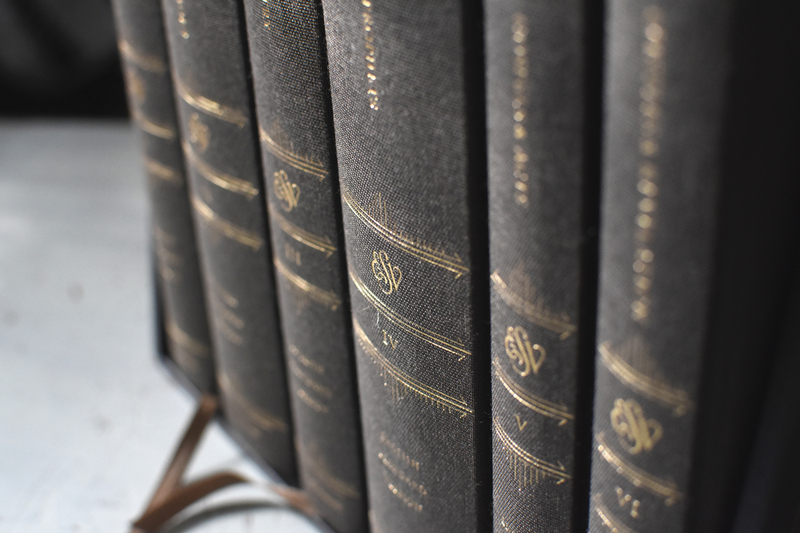 The ESV Reader's Bible, Six-Volume Set stems from the conviction that the Bible is of immeasurable value and should therefore be treasured--and read in the most seamless way possible. 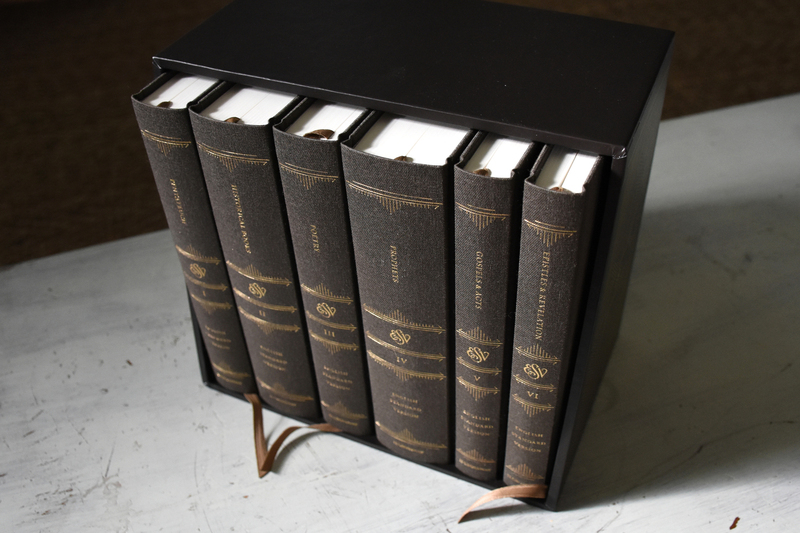 Constructed with materials carefully selected to reflect the beauty of God's Word, the ESV Reader's Bible, Six-Volume Set is a unique collection designed for those desiring a cleaner, simpler Bible-reading experience. 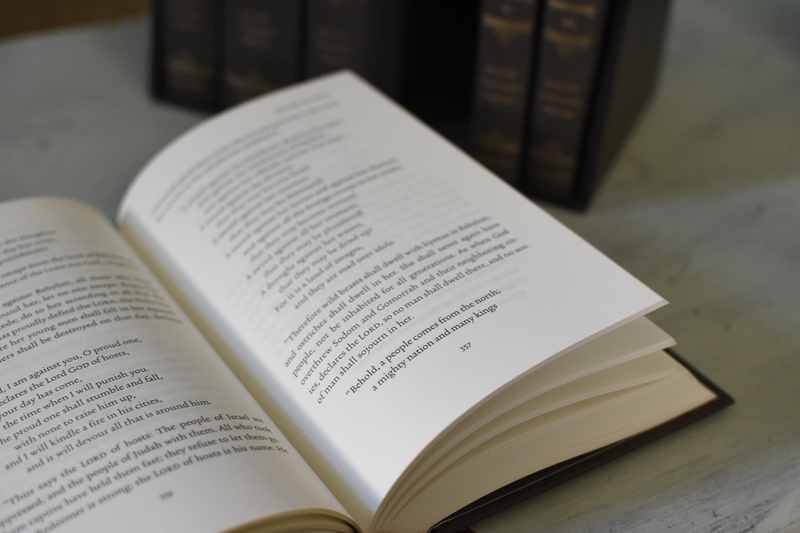 Printed on European book paper with smyth-sewn binding and packaged in an elegant slipcase, this edition features single column text that is free of all verse numbers, chapter numbers, and footnotes, as well as most section headings--resulting in a unique Bible-reading experience that helps readers encounter and delight in the beauty of God's Word.